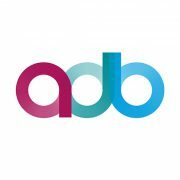 Geneva, Switzerland, 7th September 2016 – ADB, a leading provider of solutions and services for media convergence, will use this year’s IBC in Amsterdam to showcase a year of cutting-edge technological advances, the culmination of 20 years of TV industry innovation. The company will debut a number of ground-breaking new products, services and market evolutions especially in the areas of personal TV, business TV, and IPTV. Visitors to the ADB Booth at IBC (5.B60) will be able to see unique demonstrations from across ADB’s Connected Solutions portfolio. IBC 2016 will see the public debut of ADB’s pioneering new graphyne2 personal TV platform, which affords operators the capability to build stronger bonds with customers through its innovative features set. The graphyne2 launch extends ADB’s portfolio of Connected Solutions with a next-generation software solution that drives quick and straightforward deployment of value-added services. Comprehensive Customer Relationship Management capabilities, enabling new revenue drivers such as advertising insertion and targeted marketing. IBC will see the European launch of vuTyme, a next-generation end-to-end, managed service iTV solution for the hospitality market, which extends ADB’s established business TV offering. The cloud-based solution delivers a complete set of services, including live TV, VOD, digital signage and targeted advertisements. vuTyme also adds exciting features such as searchable Interactive Program Guides, OTT services and direct-to-guest messaging through the TV. It requires no hotel head-end equipment – just a discrete STB mounted behind the TV. At IBC ADB will also launch vuCaster, which augments vuTyme by allowing guests to stream content from a mobile device to their in-room TV. vuCaster enables users to ‘cast’ their personalised programming from YouTube, Netflix and other sources onto the bigger screen. It is available on all new vuTyme deployments and can be retrofitted to existing installations. 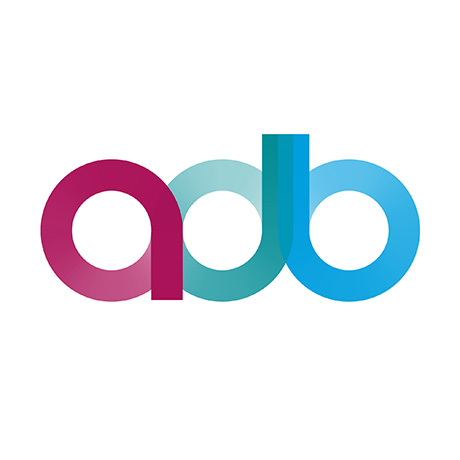 IBC will also be host to the live launch of ADB’s 1761 IPTV series, its trailblazing IPTV solution that features wireless and 4K/UHD set-top-box (STB) technology to provide operators across the North American IPTV market with access to unprecedented connectivity and high quality content. This market-first series, which was recently certified by the leading provider of software solutions for the delivery of connected entertainment services, Minerva Networks, allows operators to access advanced new features while reducing operational costs. At under $100, the 1720w STB from the new series ensures considerable cost savings can be achieved, while also improving consumer premises equipment accessibility and performance. The series also provides flexible deployment options – allowing operators to deliver both managed multicast and RTSP-based video and adaptive bit rate (ABR) streaming protocols. “These examples of innovation are just a part of the ADB mission,” notes Peter Balchin, ADB’s Chief Executive Officer. “We are constantly driving modernisation across our Connected Solutions Portfolio to ensure that our customers can provide the immersive and interactive TV experiences today’s consumers want. Demonstrations across the Connected Solutions portfolio will be available on the ADB Booth (5.B60) – to book an appointment, please contact info@adbglobal.com. Telekom Austria, Border States Electronic, Canal Digital, Cox, Graybar, NC+, Swisscom, Telecom, Italia, Telefonica, Telenet, Time Warner and Vodafone.